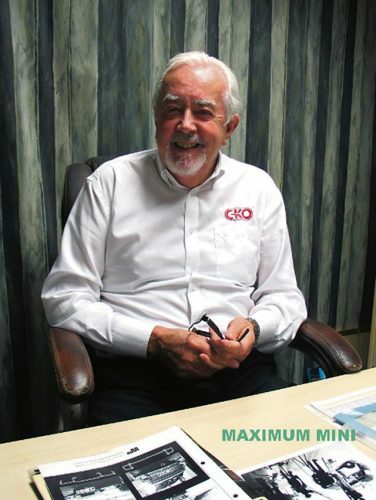 Businessman Eddie Collins has been at the forefront of some of the automotive industry’s most high profile innovations since the 1960s – from luxury upgrades of Minis for everyone from the Beatles to the Monkees, to introducing bespoke luxury specifications for original utilitarian Range Rovers, to TV screens in headrests. And he helped work on what was, at one time, the most expensive car in the world, the Star of India Rolls Royce. Eddie – assisted by his daughter Jackie and his firm’s manufacturing plant in China – has an even more ambitious goal and that is to make roads safer by influencing driver and fleet owner behaviour for the better. 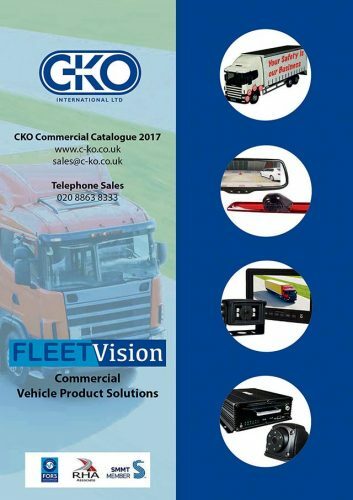 His company C-KO has set as its goal no less than the safety of pedestrians, cyclists and personnel in the road transport industry. “A glance at the headlines in any given week will tell you that lorries are involved in an increasing percentage of fatal traffic accidents on Britain’s roads with HGVs implicated in more than one-in-five fatal accidents on A-roads and dozens of deaths in the construction industry itself,” says Eddie. “My niece’s best friend was killed in an horrific motorway crash involving a lorry driver who was not paying attention to the road,” he adds. “At the same time there are people out there who want to make false claims against drivers and companies. “So our equipment enables companies to modify their drivers’ behaviour through monitoring them through our live view systems, and/or by increasing their all round vision for safer manoeuvring, or by recording incidents to help drivers and companies defend themselves against malicious claims,” he says. “Put simply our company helps the road transport industry’s Construction Logistics and Community Safety (Clocs) standards and Fleet Operator Recognition Scheme (FORS) become a reality. “It just makes commercial sense for fleet operators and drivers to invest in safety equipment that can save lives. “We work with small installers and large contractors to help them understand their compliance requirements and find a solution that fits their needs, we’ve been in this business for 30 years so we understand the imperative for making safety an intrinsic part of companies’ business models. “More than half, 55 per cent, of cyclist fatalities involve a HGV even though in London those same HGVs only account for 4 per cent of traffic on the capital’s roads. “We provide safety AND entertainment facilities and products for the automotive industry, post-sales. A lot of what we do these days is safety equipment for the commercial vehicle sector so that’s making sure pedestrians, and the staff on building sites, and cyclists, very importantly, are safe around the lorries whizzing around London’s roads and the vans that a real – ways popping up everywhere. “The vision thing is important. Last week the Mayor of London was talking about his plan to have more direct vision so that’s actually about being able to see out of the cab, all around, the drivers themselves seeing what’s going on. A lot of what we do is, if you like, the secondary thing – having cameras to be able to see things. The camera will send an alert by beeping or flashing a light (warning of ) a lot of things the driver cannot see, so electronically picking up. Eddie’s daughter Jackie points out: “Some of them (our products) will be for saloon cars and passenger cars , a lot of the things that come out of the factories now have parking sensors on them but, of course, a few years ago they weren’t coming out of the factories that way so we were helping supply those too Eddie continues: “We do not deal with the public at all, we are dealing with the trade at different levels so a lot of the work we are doing is with the installers and we are more and more moving towards the commercial companies who are using the installers. “We started this particular business in the 1980s. Of course, we started long before then, but in a sense we’re like a chameleon, we change our colours to the needs of the market so in that sense we’re a marketing company within the motoring industry either trying to forecast or follow trends. To many within the trade, and perhaps of a certain age, Eddie was originally the creative and sales force behind Wood and Picket. 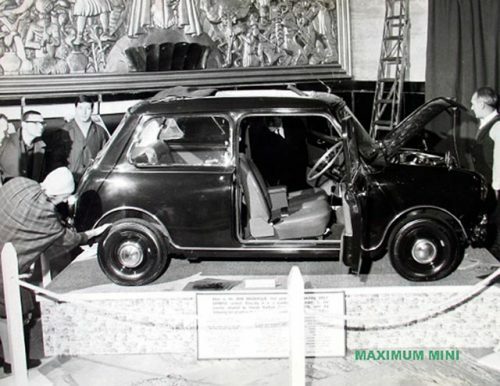 “They were very well-known for personalised cars and developments so we were the first company to provide a luxury Mini and add things that they didn’t have in those days like electric windows and so on and so on. “So we would turn that into a mini Rolls Royce and as a consequence of that we had this amazing list of clientele whose names didn’t mean anything to me at the time, I didn’t even like their music. People like The Beatles, some actors, people like Lawrence Harvey. “We had some very interesting times then. That led me into saying what’s the next step so we looked at the Range Rover and the Range Rover then was a very basic car and much to the consternation of Rover at the time we developed a luxury version of that. 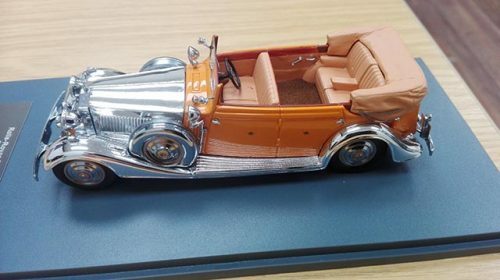 We showed it at Earl’s Court, it was fully air-conditioned, it had full leather seats, it had wood inside, Rolls Royce paintwork on the outside it was a time when some of the big buyers in the market were the Iranians which is topical at the moment in terms of where the whole world is going. We had these guys coming on saying five of those, three of those and we thought ‘Hey, we’ve arrived in Heaven’. “So that started us to move toward doing special contracts for Land Rover, cosmetically. That led me into doing work in the Middle East and we got very involved in things like fitting out hunting Range Rovers for the princes in the Middle East and so on and so on. “And then somebody had a screen and parking sensors and wanted us to be a distributor for them – and while I was always looking for new opportunities, initially I thought ‘This is not our business’ but when I started thinking about it I thought, ‘Well, this may not be our business but it could be our business’ and that’s when we started getting involved, the first steps, into where we are now. “Reversing sensors was a very important part of the whole scene, which it is now, then we got into family entertainment in a big way (screens in the back of headrests and so forth). Back to Eddie: “And so as time was going on it obviously became clear that a lot of the things we were doing, more and more manufacturers were incorporating these items. “It starts at the high end and works its way down or sometimes it’s even the other way around. 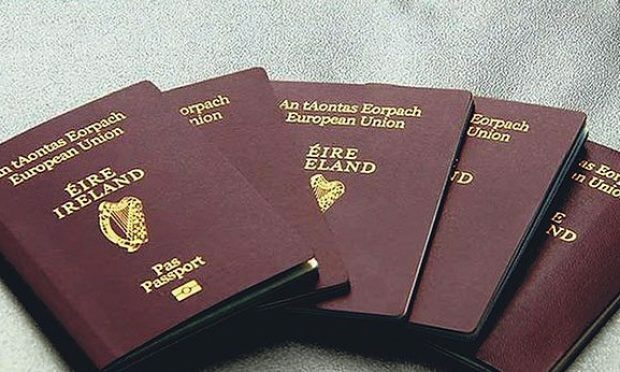 “It seemed to us that the opportunity as a business to move away from saloon cars and look at commercial vehicles because commercial vehicles had nothing on them, a white van was it, that was all there was there, load everything you can into it and to hell with everything else or it was a commercial vehicle and there was no control over the specification on that vehicle and, crudely, little thought or care for the pedestrian went into any of that. “Now that’s not entirely true but there was an indifference. ‘Do we need to spend money? No we don’t, so then forget it.’ We started moving in parallel with the trends in the industry where safety became a trend in the industry whereas before, a simple example is reversing sensors were important for saloon cars, so here’s an opportunity – reversing sensors for vans, so we stepped into that area. So, as promised, just how did Eddie get involved in luxury cars originally? “During school time I had a job with a company called Booth Poole in Islandbridge, they were assembling cars at the time and I had a part-time job with them. “I started developing an interest in that sort of thing I’ve always had a love for cars. My dad would go down to someone on the Quays and he would buy his American magazines and in them you’d see these amazing American cars and that led me into a bit of a dream world. 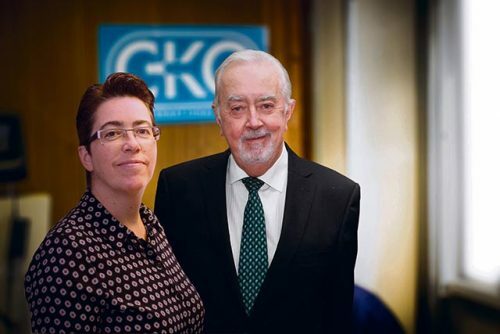 “For my serious job, I worked in Clery’s in Dublin, selling, and I took various papers in things like Retail distribution as an aside in those days your employer wasn’t interested in what you were doing there. Then I replied to an ad in the Independent for a Sales Correspondent for a linen mill. “The man I worked for, an Austrian businessman, left and went to England and I got a letter from him saying he’s just bought a coach building company in England, a very established company but he didn’t have anybody who looks after selling and promotion and all that sort of thing. ‘What do you think, shall we try it for a few years?’ so she was as enthusiastic as I was and so we told the parents and they nearly freaked out. The coach builders were called Harrow and Radford and they were in Hammersmith and when I went to see their place it was like a toy shop – it was full of Rolls Royces, Aston Martins, that whole range of cars that they were working on and they were doing some kind of development for Aston Martin as well – it just blew my mind away. “Van den Plas were luxury but not quite, whereas these were. I was head hunted from there, in fact going back one step, the day we got married we flew straight to London after the reception in 1965. “That was interesting, we had our honeymoon in Southend-on-Sea, not in Spain, not in any of those sunny or exotic places but this was a big deal. “I worked with that company for probably two years and one of the key directors left to start a different company called Wood and Picket and I was persuaded to join them because I jut could see the opportunities with a clean sheet with what I thought was the future of this particular type of industry. “They bought a shell company and the company was two colleagues, Mr Wood and Mr Picket and their speciality was trimming and I used to contract work to them but they did some marvellous leatherwork, fantastic and at the same time they also had contracts from people like Mulliner Park Ward for doing work for them so we ended up in Park Royal and offering a much wider range of products and a couple of fairly famous people at the time heard I was moving and said they wanted to follow me. 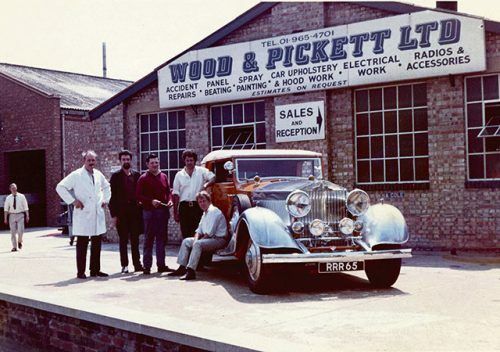 “Peter Sellers had just had a luxury Mini at the time and this was the beginning of a trend and so a couple of customers whom I’d known came to me and said they’d like to have a Wood and Picket but would you build something for us. 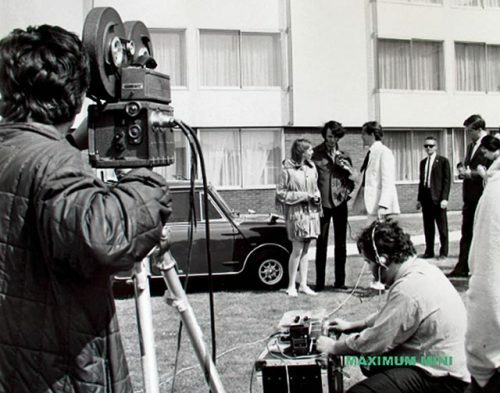 “We had Roy Boulting, and Hayley Mills was one of theirs and further along the line she was a pal of Twiggy’s so I designed, I’m not a designer, conceptualised, them and we had access to a very good works manager with Rolls Royce and these sort of people so it was fairly straightforward to translate this idea of luxury for these cars and then suddenly we were in the fashion business with all these people who didn’t mean anything to me but one thing led to another and we continued to develop the product to a very luxurious mini. 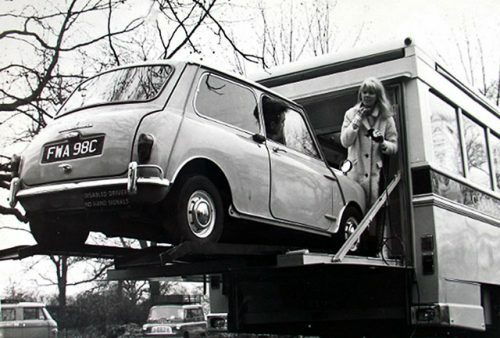 “It was a funny thing at the time, the Mini seemed to have this sort of everyman neutrality. You could arrive at Harrods with your Rolls and your chauffeur but not arrive in a Ford but you could arrive in a Mini. 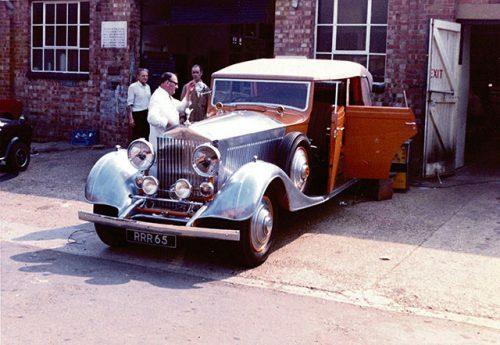 “I remember once we had to deliver a special vehicle to the Rolling Stones to Mick Jagger one evening and I remember it was running behind time so I ended up helping them put this car together and taking it down to his apartment. “What I’d read in the papers about him had me apprehensive and wondering what was going to happen. Fortunately, I delivered the car and Wood and Picket got paid. “There’s a whole array of people we had including more serious people like Lord Cromer, Governor of the Bank of England at the time, we built some cars for him, I think it was two cars, we then had Signor Agnelli, the Fiat man we built two cars for him which was all very exciting. “And then, of course, Lawrence Harvey was someone quite special. The amusing thing about him was that when he was here he lived in The Grosvenor so he would sort of say can you come down and see me so I’d go down and at the time he was married to a very, very famous widow (Joan Perry) of one of the movie moguls (Harry Cohn). “He would walk down to the foyer and say ‘Darling, how nice to see you’. And I’d be thinking ‘Does anyone hear this?’ but he was very, very charming, such a lovely, lovely guy and he died young of cancer. 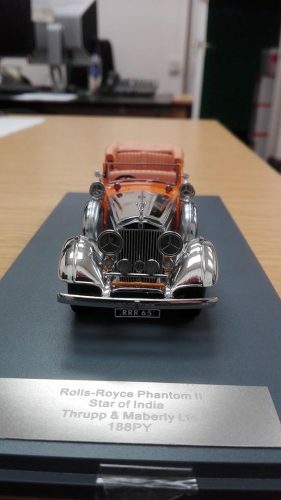 Every year he would be supplied with two cars from GM (General Motors) just to promote their business and he would inevitably say ‘Have a look at this, and see what you could do’. “Then I got very heavily involved in the Middle East in terms of working with distributors in the Middle East, Toyota and other companies. We had the private companies for the private individuals, the Princes in Saudi Arabia, and then I saw the whole aspect of increasing demand for 4×4 cars in the Middle East and it was interesting that the people who got franchises at the time, Japanese cars weren’t even known, so it was always some local guy, nobody big, who’d say, ‘I think I can do something with that in the desert and buy some’. “And, of course, as time went on the Japanese became more innovative in their engineering and I just happened to have some ideas about what we could add on to those vehicles. “In some cases to replace those products being supplied by the manufacturer.” “Which brings us to today – more and more companies have realised – that by being able to record what the car is doing, the black boxes, they could save themselves a fortune in false claims.